Albrecht von Haller – Swiss anatomist, physiologist, naturalist, encyclopedist, bibliographer, and poet. Haller did not belong to a well-to-do family and even lost his parents at an early age. However, he had an innate understanding of languages and in his childhood, he made a compilation of several biographies. He later decided to pursue a career as a physician and traveled to several places gaining knowledge on medicine from different exponents in the profession. One of his mentors was the renowned physician Herman Boerhaave who guided him during his days at the university. He also cultivated an interest in the subject of botany and starting from the collection of different species of flowers, he went on to be a renowned botanist of the eighteenth century. He also had a knack for poetry and even when he carried on his research works in botany, he penned much poetry revolving around diverse themes. Haller was one among the superlative anatomists that the world had known, and is credited with heralding the era of modern-day neurology and physiology. One of the most prominent observations made by him was the autonomous function of the heart. Read on to know about other valuable contributions which Haller has made to natural science. 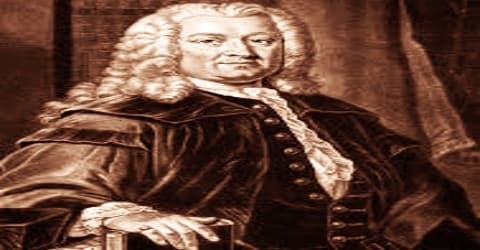 Albrecht von Haller was born to on 16th October 1708, in Bern, Switzerland, Niklaus Emanuel Haller, and Anna Maria Engel. He had five siblings and after the death of his mother, his father remarried Salome Neuhaus. Prevented by long-continued ill-health from taking part in boyish sports, he had more opportunity for the development of his precocious mind. At the age of four, it is said, he used to read and expound the Bible to his father’s servants; before he was ten he had sketched a Biblical Aramaic grammar, prepared a Greek and a Hebrew vocabulary, compiled a collection of two thousand biographies of famous men and women on the model of the great works of Bayle and Moréri, and written in Latin verse a satire on his tutor, who had warned him against a too great excursiveness. Haller studied medicine in Tübingen and especially in Leiden with Herman Boerhaave, the leading medical authority of his time. 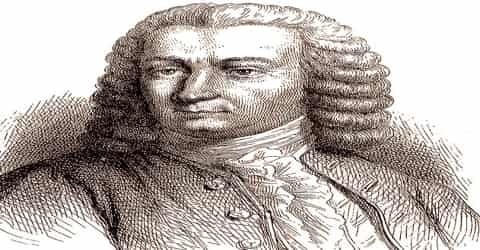 After graduation in 1727, he visited England briefly and completed his anatomical and surgical studies in Paris and learned the foundations of higher mathematics from Johannes Bernoulli in Basel. Haller was drawn towards the subject of botany during this time and while he traveled through places like Baden, Savoy and some of the Cantons of Switzerland, he collected different plant species which later became the elementary part of his work involving flora of Switzerland. Albrecht von Haller married three times; his wives were Marianne Wyss (d. 1736), Elisabeth Bucher (d. 1741), and Amalia Teichmeyer, and was the father of eight children. Two of his sons named Gottlieb Emanuel and Albrecht also embarked on a career as a botanist. When still hardly fifteen Haller was already the author of numerous metrical translations from Ovid, Horace and Virgil, as well as of original lyrics, dramas, and an epic of four thousand lines on the origin of the Swiss confederations, writings which he is said on one occasion to have rescued from a fire at the risk of his life, only, however, to burn them a little later (1729) with his own hand. From 1729 to 1736 Albrecht von Haller worked as a physician in Bern and published some first minor works in anatomy and botany. 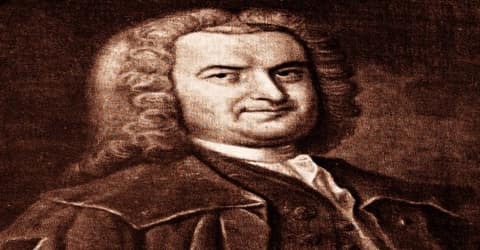 He achieved his first fame, however, with his Essay of Swiss Poems (Versuch Schweizerischer Gedichte, 1732), which served as the model for descriptive and philosophical poetry for the next generation and made Haller the most highly esteemed German poet of the 1730s and 1740s. Haller was also engaged in literary pursuits during the same time and penned the poem ‘Die Alpen’ in 1729, which was based on his journey through the mountainous region of Alps. The same year, he traveled back to Bern and was engaged in the profession of a physician in the city. In 1732, his book ‘Gedichte’ was published and the poem ‘Die Alpen’ was first printed in this book. In 1736, Haller moved to Germany and joined the ‘University of Göttingen’ as the chairperson of the botany, medicine, surgery and anatomy department of the institute. At the University of Göttingen (1736-53), where Haller served as professor of medicine, anatomy, surgery, and botany, Haller undertook the exhaustive biological experimentation that was to make his encyclopaedic Elementa Physiologiae Corporis Humani (8 vol., 1757-66; “Physiological Elements of the Human Body”) a landmark in medical history. Because of his impressive accomplishments at the newly formed university, the scientific world was shocked when he suddenly resigned his chair to return to Bern (1753-77), where he continued his research, maintained a private medical practice, and completed an enormous number of written works. In 1742, Haller published a massive flora of Switzerland and was soon acknowledged as one of the leading botanists and as the most important opponent of Linnean nomenclature. As an anatomist, he focused on the vascular system and set the new standard in this particular branch with his Icones anatomicae (8 parts, 1743–56). 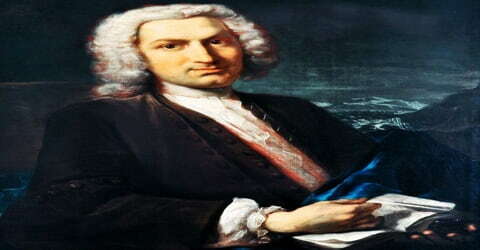 In 1743, this eminent physician was made a Fellow of the Royal Society. During his stay at Göttingen, Haller was included in the cantonal council of Bern. Albrecht was inducted into the ‘Royal Swedish Academy of Sciences’ in 1747 as a foreign member, and two years later, he was promoted to a noble rank. In 1752, at the University of Göttingen, Haller published his thesis (De partibus corporis humani sensibilibus et irritabilibus) discussing the distinction between “sensibility” and “irritability” in organs, suggesting that nerves were “sensible” because of a person’s ability to perceive contact while muscles were “irritable” because the fiber could measurably shorten on its own, regardless of a person’s perception, when excited by a foreign body. Later in 1757, he conducted a famous series of experiments to distinguish between nerve impulses and muscular contractions. In 1745, while still at Göttingen, Haller was elected a member of the cantonal council of Bern. Encouraged in his hope of having a political career, he visited Bern in the spring of 1753; he resigned his post at Göttingen and remained in Bern after having been selected for the office of Rathausammann. From 1758 to 1764 Haller lived at Roche as director of the Bern saltworks, then returned to Bern permanently. He combined his scientific and literary work with public service and was active both in political and administrative affairs, doing useful work for the school system, for orphans, and as a member of the sanitary council. In addition, he codified the common law of the Aigle district and was later president of the Bern Oekonomische Gesellschaft. Haller made important contributions to botanical taxonomy that are less visible today because he resisted binomial nomenclature, Carl Linnaeus’s innovative shorthand for species names that was introduced in 1753 and marks the starting point for botanical nomenclature as accepted today. Haller was among the first botanists to realize the importance of herbaria to study variation in plants, and he therefore purposely included material from different localities, habitats, and developmental phases. Haller also grew many plants from the Alps himself. The plant genus Halleria, an attractive shrub from Southern Africa, was named in his honor by Carl Linnaeus. In 1755, his book ‘Onomatologia medica completa’ was published which was co-written by Johann Peter Eberhard. Haller penned the book ‘Historia stirpium indigenarum Helvetiae inchoata’ in 1768, and this was followed by the publication of his book ‘Ode sur les Alpes’. Haller’s return to Switzerland was not a farewell to the Republic of Letters. He continued to maintain his vast correspondence, of which 3,700 letters to and 13,300 from 1,200 persons have survived. And he did not relent in his scientific activity. He proceeded with his embryological investigations, already started in Göttingen, and published his major works on the development of the chicken embryo in 1758 and 1767. His opus magnum, the Elementa physiologiae, appeared in eight volumes over a period of ten years (1757-66). Haller presented his views on anatomy and physiology to the wider public in the Yverdon and the supplements to the Paris Encylopédie (1772-77), for which he wrote some 200 articles. A second, considerably revised and enlarged edition of his Swiss flora was published in 1768. The twenty-one years of his life which followed were largely occupied in the discharge of his duties in the minor political post of a Rathausmann which he had obtained by lot, and in the preparation of his Bibliotheca medica, the botanical, surgical and anatomical parts of which he lived to complete; but he also found time to write the three philosophical romances Usong (1771), Alfred (1773) and Fabius and Cato (1774), in which his views as to the respective merits of despotism, of limited monarchy and of aristocratic republican government are fully set forth. Haller was the first to recognize the mechanism of respiration and the autonomous function of the heart; he discovered that bile helps to digest fats, and he wrote original descriptions of embryonic development. He also summarized anatomical studies of the genital organs, the brain, and the cardiovascular system. Most important were his contributions to the understanding of nerve and muscle activity. On the basis of 567 experiments (190 were performed by him), Haller was able to show that irritability is a specific property of muscle a slight stimulus applied directly to a muscle causes a sharp contraction. The experiments also showed that sensibility is a specific property of nerves a stimulus applied to a nerve does not change the nerve perceptibly but causes the contraction of the muscle connected to it, implying that the nerves carry impulses that produce the sensation. Although the English physician Francis Glisson had discussed tissue irritability a century earlier, Haller’s complete scientific delineation of nerve and muscle action laid the foundations for the advent of modern neurology. His book ‘Bibliotheca anatomica qua scripta ad anatomen et physiologiam’, which appeared in two volumes was published between the years 1774-77. The botanist Carl Linnaeus has named a shrub as ‘Halleria’ in the honor of Albrecht von Haller. In about 1773, his poor health forced him to withdraw from public business. Albrecht von Haller supported his failing strength by means of opium, on the use of which he communicated a paper to the Proceedings of the Göttingen Royal Society in 1776; the excessive use of the drug is believed, however, to have hastened his death. On 12th December 1777, this exceptional anatomist breathed his last in Bern. His works ‘Materia medica oder Geschichte der Arzneyen des Pflanzenreichs’ and ‘Histoire des Plantes suisses ou Matiere médicale et de l’Usage économique des Plantes par M. Alb. de Haller … Traduit du Latin’ was published posthumously. Toward the end of his life, Haller devoted much of his time to the cataloging of scientific literature. His Bibliothecae Medicinae Practicae, 4 vol. (1776-88) lists 52,000 publications on anatomy, botany, surgery, and medicine. 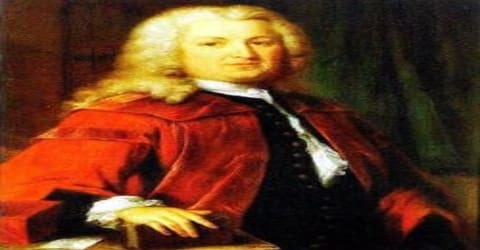 In a study on Swiss vegetation, he developed a system of botanical classification considered more logical than that of his Swedish colleague Carolus Linnaeus, known as the father of modern taxonomy. Haller was also an accomplished poet, and his glorification of the mountains (“Die Alpen”; 1732) helped bring a sense of the awareness of natural wonders to German poetry. This anatomist has made many contributions to the world but one of his most important works is his observation of the activities of the muscle as well as the nervous system. These observations by this learned physiologist led to the foundation of modern-day neurology. Haller is also credited with observing and understanding the respiratory process and the independent functioning of the heart. Albrecht von Haller has been characterized as “the last universal scholar” of the Enlightenment. As a scientist, he contributed to medicine, physiology, anatomy, embryology, and botany. He wrote articles for over thirty academic journals and published poetry, three political novels, and works on political theory and religious apologetics. Never one to shy away from controversy, Haller was involved in numerous disputes in science and philosophy. Throughout his life, Haller held fast to a Newtonian vision of nature deeply rooted in morality and religion and rejected the more radical facets of Enlightenment thought.